CEPESE – Research Centre for the study of Population, Economy and Society is a Public Utility Institution dedicated to scientific research, with an interuniversity vocation, founded by the University of Porto and the António de Almeida Foundation in 1990. It has been operating since 1996 as a Research Unit, under the regulation of the Portuguese Foundation for Science and Technology, gathering over one hundred PhD researchers. 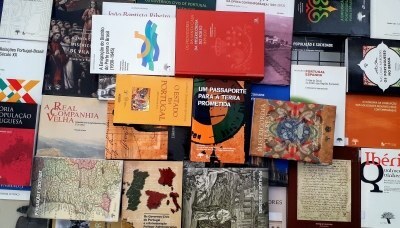 We develop research activities in the field of History and other areas of Social and Human Sciences that contribute to the study, analysis and understanding of society, understood in a broad sense, including its historical evolution, characterization at the present and future challenges, in a plural and interdisciplinary approach to science that seeks to produce knowledge with social utility. In our website, you can find information about research projects, access our publications and databases, check our library, and more. Welcome to CEPESE!